A few weeks my boyfriend and I went to dinner at Bistango. After months of drooling over their website menu I was beyond excited for this special date night! Bistango is certified gluten free and is absolutely fabulous. As soon as the sever comes to the table he/she asks if anyone has a food allergy. The menu clearly identifies the gluten free options although the entire menu can be gluten free. They even serve gluten free Italian bread. It had been over a year since I had Italian bread at a restaurant (at Yamanja in Aruba) and it was AMAZING! Light, fluffy and delicious. I believe they order their bread from Everybody Eats in Brooklyn. For dinner I had the gluten free spinach ravioli in a pink sauce. My boyfriend ordered the pork chop (gluten style) and we shared coffee gelato for dessert. This was the best dinner I’ve had at a restaurant in a long time and I can’t wait to go back. I highly recommend Bistango. You won’t be disappointed! 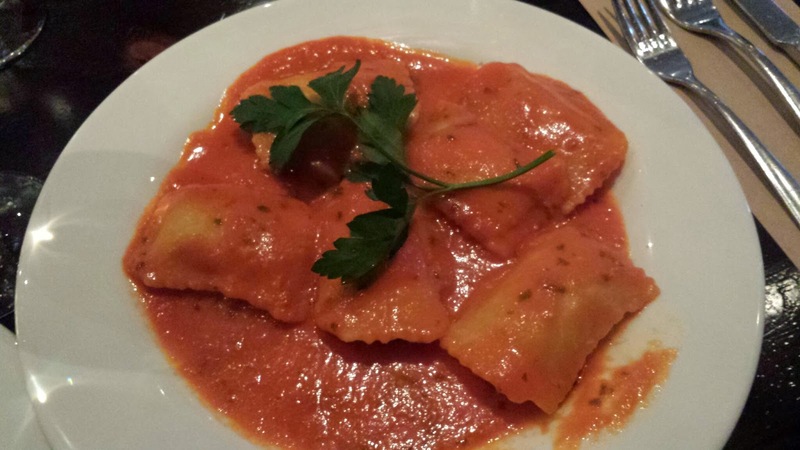 ‹ PreviousGluten Free in Poughkeepsie! Next ›Gluten Free at MSG!